The process by which microorganisms can convert carbohydrates into other products. The process by which microorganisms can convert carbohydrates into other products. This commonly refers to the fermentation of sugar by yeast, which is used to produce alcohol. In the absence of oxygen, the yeast releases an enzyme that breaks down glucose into ethanol and carbon dioxide. This reaction is essential to the brewing industry. This commonly refers to the fermentation of sugar by yeast, which is used to produce alcohol. 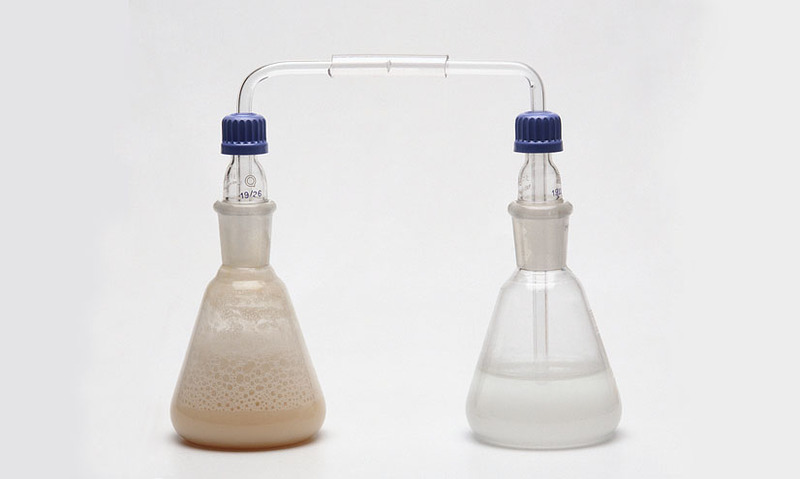 In the absence of oxygen, the yeast releases an enzyme that breaks down glucose into ethanol and carbon dioxide. This reaction is essential to the brewing industry.